Sacred Heart featured Rick Campbell (guitars, lead vocals), Scott Hanley (guitars, vocals), Bobby O'Brien (drums, vocals) and Billy Maxx / Bill Everett / Trip Wilkins (bass). Played originals written by Scott Hanley. 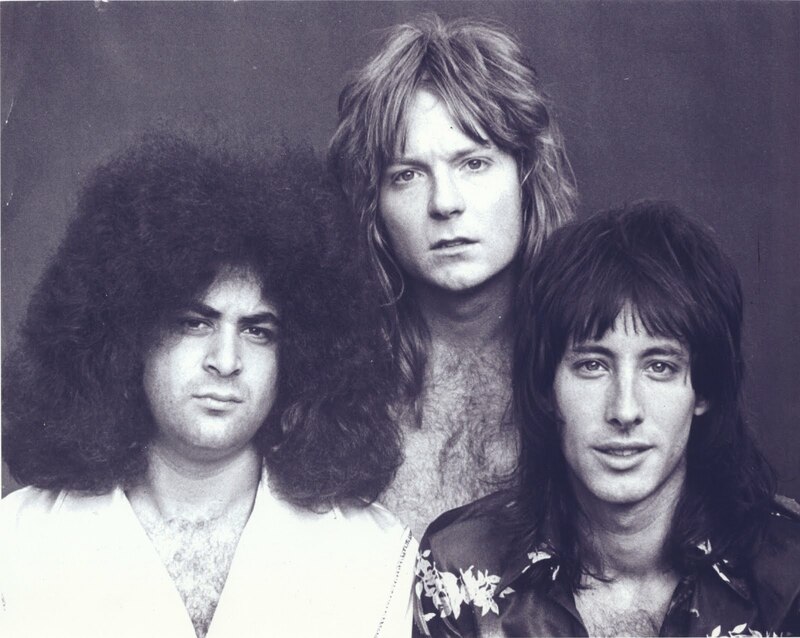 "The Town Board of Proctorsville, VT"
1976: Bob Palermo (bass), Jim Perry (guitar), John Bianci (keyboards), Mike Lynch (vocals), Paul Martin (drums). 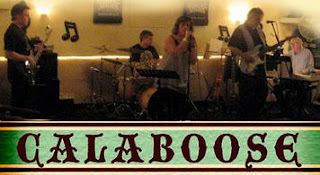 Hailing from Marlborough, the members of The Allens started in the local music scene playing any and every high school, nightclub, and concert gig they could find. From Worcester to Boston, including legendary clubs like the Rat, the Channel, Bunratty's, Paradise, and Sir Morgan's Cove as well as many other bars in the New England area, members of The Allens have shared a stage with Jesse Malin, The Romantics, Neighborhoods, Extreme, Farrenheit, and members of the Joe Perry Project. 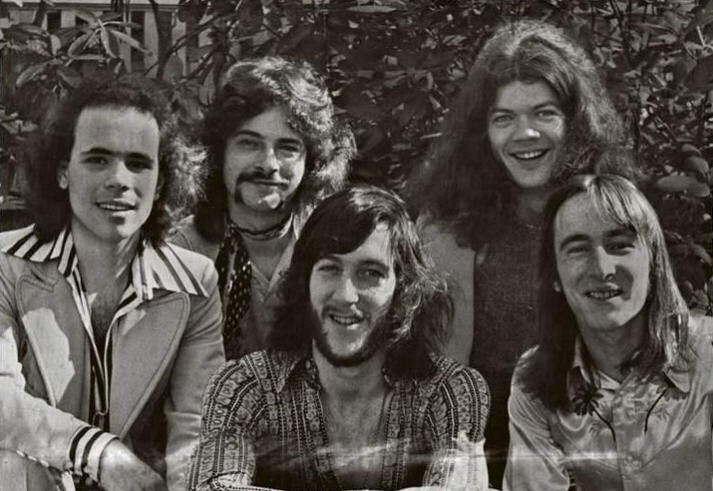 Paying their dues in other bands, the boys in The Allens always had a friendly camaraderie and appreciation for each others' playing. Now in their 21st year, The Allens have added Gary Stucchi on bass. 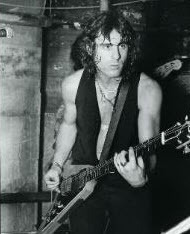 Gary previously played with Billy in a.k.a. and also played with JAB. It's always a raucous time when The Allens hit the stage- come on down to a show soon! Dave hails from the East coast, born and raised in Boston, Mass. His first band was called "Dave and the Essex". For lot of great priceless photos of Dave in his youth... see this article written by Tom Brodeur "Dave and the Essex", and "Ice". Dave was just 11 when he put this group together. He was in several bands when he was a teenager. 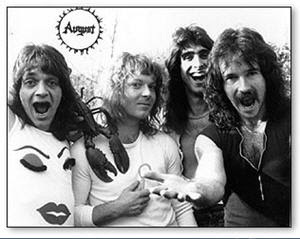 Early bands also included "Ice", "Sledge-hamma", and "August". 1978 - 1980: Formed in August (hence the name) of 1978, the band featured members of three of New England's most well known club bands. 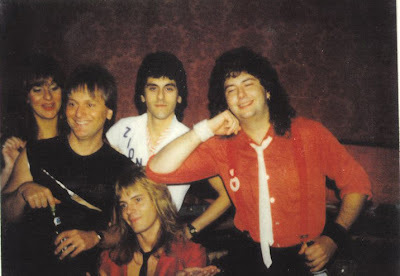 Jimmy D'Angelo (guitar/vocals) and Louie Santoro (drums) from PRETTY POISON, Jamie Pease (bass/vocals) from BUCK, plus Dave Amato (guitar/vocals) from ICE. 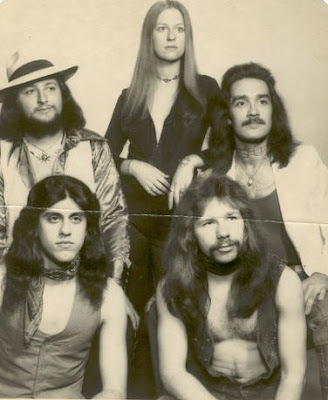 Shortly after recording a 4-song demo in New York for Atlantic Records with Bobby (Foreigner) Warner, Dave Amato left the band and headed out to California to replace Jim Dandy in Black Oak Arkansas. After a stint with Ted Nugent, Dave joined REO Speedwagon and has been in the band since 1989. 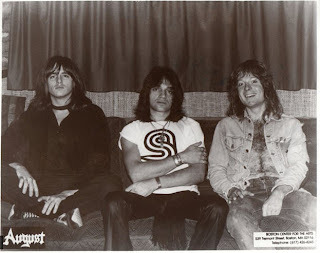 1981: After the departure of Dave Amato, August continued to play out as a trio and packed the central MA clubs like The Sanctuary in Worcester, Cinema Room in Leominster and The Mohawk Club in Shirley. 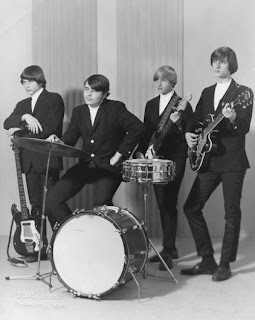 The band went into Blue Jay Recording Studios in Carlisle, MA and recorded a 6-song EP titled "Sunny Days / Hot Nights" which features three songs by Jimmy D'Angelo and three others by Jamie Pease. 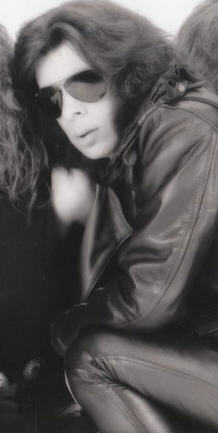 1982: Scott Hanley (guitar/vocals) joined the band. This photo was also the album cover of the EP. 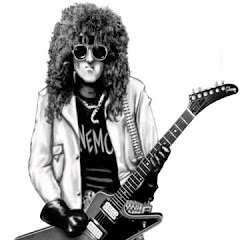 "Who's Going to Cry" (Jamie Pease/lead vocals) debuts at #1 on WBCN's Local Top Three. 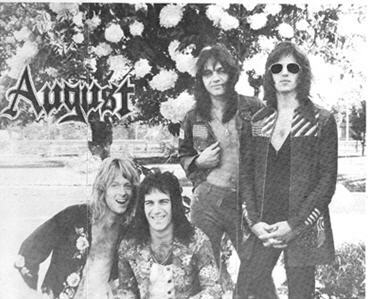 August finds themselves opening for Ritchie Blackmore's Rainbow, Krokus and The Joe Perry Project while headlining at some of the larger clubs like Mr. C's Rock Palace in Lowell and Uncle Sam's in Nantasket Beach. 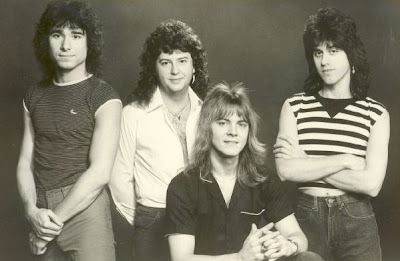 1983 - 1985: Scott Hanley and Louie Santoro are replaced by Jeff Houck (guitar) and Dave Balcom (drums). August's sound becomes much heavier as they continue to headline at clubs like The Channel, Bunratty's and The Paradise. Opening slots include Quiet Riot, Cheap Trick and even Spinal Tap. Jimmy D'Angelo and Dave Balcom still play together in Deep 6. Jamie Pease died of cancer in 2006. 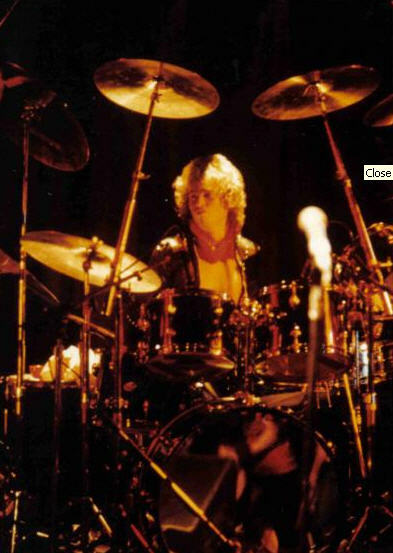 Born in New Bedford, Mass., Johnny played the drums and attended boarding school in the Berkshires. After his drums finally broke down, he sang and played harmonica in a weekend blues band in New York City's Greenwich Village in the late 60's. After 2 years at U-Mass Dartmouth, Johnny moved to Boston and started a blues band, playing guitar. He drove a taxicab, attended Berklee School of Music and Harvard University Extension School majoring in philosophy. greater Boston with many Rock & Roll legends, producing and releasing a dozen records. 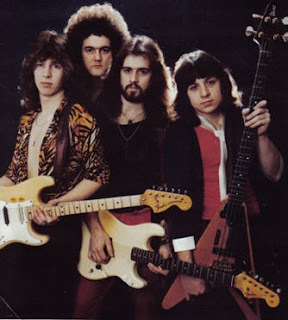 Local airplay and intense record company interest led to a hit song in England and work with legendary producer, Jimmy Miller [Rolling Stones, Spencer Davis Group, Blind Faith with Eric Clapton, Traffic with Steve Winwood, Motorhead, Bonnie and Delaney with Eric Clapton. Barnes moonlighted, helping manage Boston's largest live music nightclub, The Channel, where his band opened for numerous major acts through the 80's and early 90's. At the same time, Barnes was a paralegal investigator for law firms, and an operative and operations manager for Boston area private detective agencies. Johnny worked for Mass Legal Services, the Mass ACLU, and was a subcontract homicide investigator for the state's Committee for Public Counsel. In 1991 Barnes left The Channel for a job as a full time police patrol officer, FBI trained hostage negotiator, and detective. He recently retired from The Force and plays out with The NightCrawlers. Big Guns was the brainchild of Johnny Press, who had envisioned the harder edged songs wrtitten during his time with the band Velocity, as a basis for a new band. He recruited Wayne Orlowski on Drums, Bobby Young on Bass, Ritchie Ramuno on Keys and Les Brown on vocals. After acquiring management and financial backing, a 5 song set was cut at Ivy Lane studios. After Les left to join a New York band, John Brindisi was brought in to re-record many of the Big Guns vocals. At that point, Bobby Young decided he wanted to leave the band to do a blues project, so Scott Hanley was tapped to replace him on bass. Months had passed, writing and getting ready for this new line-up to do a live show, when the unthinkable happened. Johnny was working a day job and had an industrial accident which broke his back in 2 places. 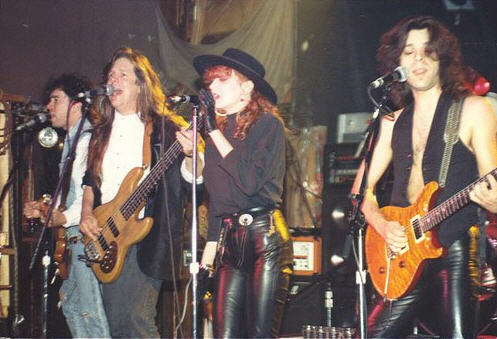 It took a while for Johnny to recuperate enough to do their one and only gig together. 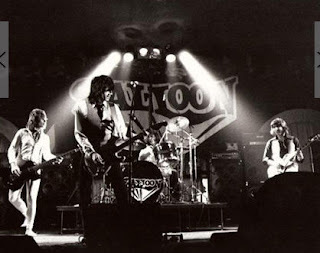 The band received an amazing crowd response but that gig marked the end of an era as an original band. 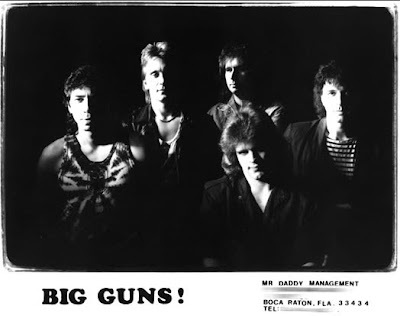 Johnny went into retirement for 12 years, never picking up his guitar or listening to music in that time while Big Guns subsequently went on to play together as a cover band with a few different lineups. 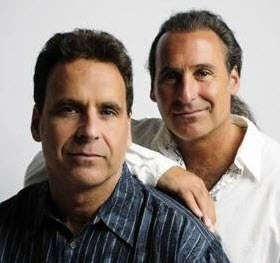 Blanc Faces, headed by the brothers duo, Robbie and Brian La Blanc, are a new and dynamic melodic rock group based in the U.S., (New York and Connecticut area). 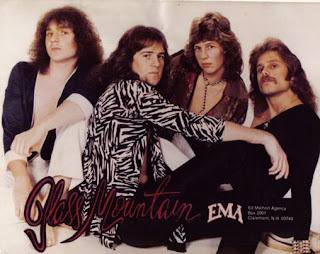 Their harmonies are unsurpassed and focal to their sound and style. Robbie is lead vocalist and plays rhythm guitar. Brian sings background and plays the bass. 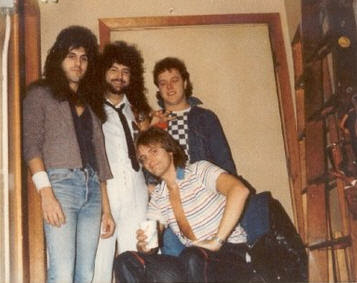 They write, produce and engineer their own music, with the help of a talented team of musicians and artists, including, on this project, Kyle Woodring (Dennis DeYoung/Styx; Survivor; John Mellencamp) on drums, with additional drum tracks by Tony Archer, Jeff Batter on keyboards, and Butch Taylor on lead guitar. The CD is mixed by Dennis Ward (PC 69). 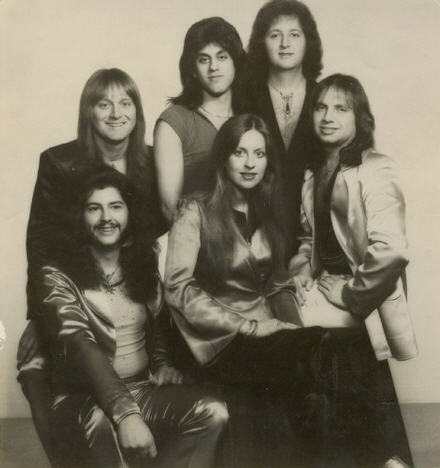 Throughout their career, they have been involved with various projects including providing background vocals on music involving "Toto" lead singer Bobby Kimball and legendary singer Ronnie Spector. 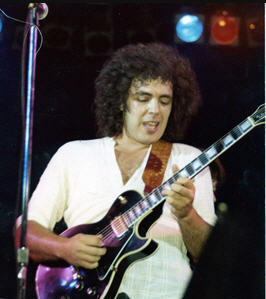 Robbie also performed live with Toto at a recent concert in 2003. They have recorded original material at Michael Bolton studios and also played guitar and sang background vocals on some of his demo music. They have performed at many well-known venues in NYC and have been on Television, most notably, the original Star Search, back in the 80’s. Coincidentally, Joseph Williams, a one-time lead singer for Toto and also a Frontiers’ artist was on the very same show. Most recently they opened up for Grammy winners, The Blind Boys of Alabama. 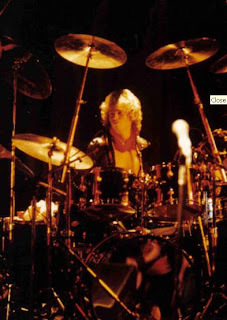 1973 - 1974: Derek Blevins (drums) was 17 years old when he "tagged along" to Boston with his New Jersey buddies Walter Muni (vocals/bass) and Al Trover (guitar). 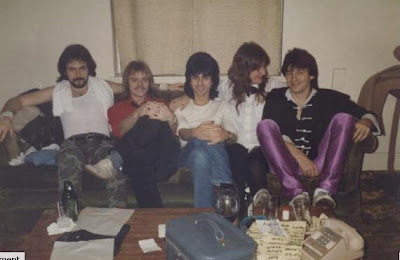 Walter and Al were attending Berklee College of Music, where they met Ken Stern (keyboards). 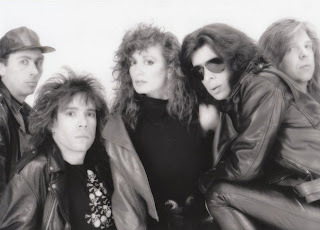 The power trio was expanded to a quartet and soon after, a quintet, with the addition of Jamie Pease (bass/vocals). 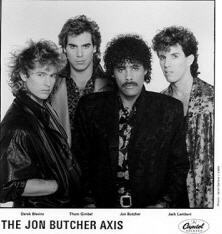 Jamie had been in Johanna Wild with Jon Butcher and was playing with (guitarist) John Kalishes when Buck went looking for a "singing bass player." The band played extensively in the western MA and upstate New York clubs plus toured out to the Midwest where they opened for REO Speedwagon. The Groggery was their favorite Boston club. 1975: Derek Blevins leaves Buck to join Johanna Wild, at which point Walter and Al returned to New Jersey. Jamie Pease keeps the name Buck and puts together a new line-up with (guitarists) Lee Vachon and Kent Pearson, plus Leo Black (drums). The band continues to play throughout New England as well as the hot local clubs like TJ's (later The Rat), The Boston Club (now the Paradise) and Katy's. 1975: In the fall of that year, Lee Vachon suffers a serious hand injury. 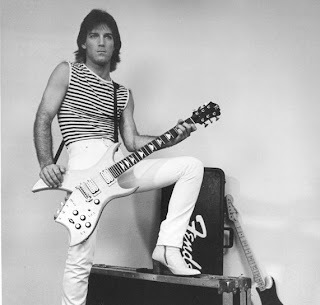 Leo Black leaves Buck and eventually would be the drummer in The Fools. 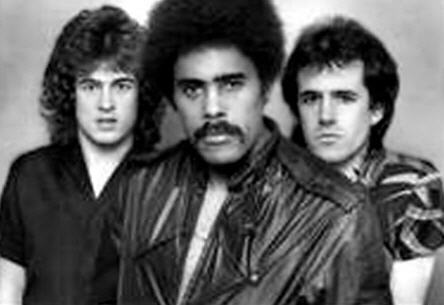 Jamie and Kent decide to give it a go as a power trio and recruit Hirsh Gardner (drums). Hirsh had recently come to Boston from Canada and would eventually end up in the band New England. Lee Vachon died in 2008 after a long illness. 1976: Jamie Pease and manager John Curtis travel to London, England on New Year's Eve to put together a British-American power trio. Steve Forest (guitar) from St. Albans, England and Mick Hough (drums) from Derby, England join the band. Steve had been in Silverhead with vocalist Michael Des Barres, which was a British glam-rock band on Deep Purple's Record Label (Purple Records). 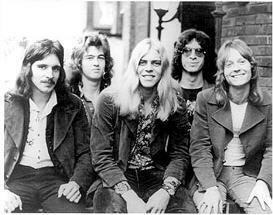 Mick had been in Flash with two former members of Yes, Peter Banks (guitar) and Tony Kaye (keyboards). It is the Bicentennial and the "Spirit of '76" is the theme. Two Union Jacks behind Steve and Mick, plus an American (13 star) Colonial flag behind Jamie are the backdrop for the stage. 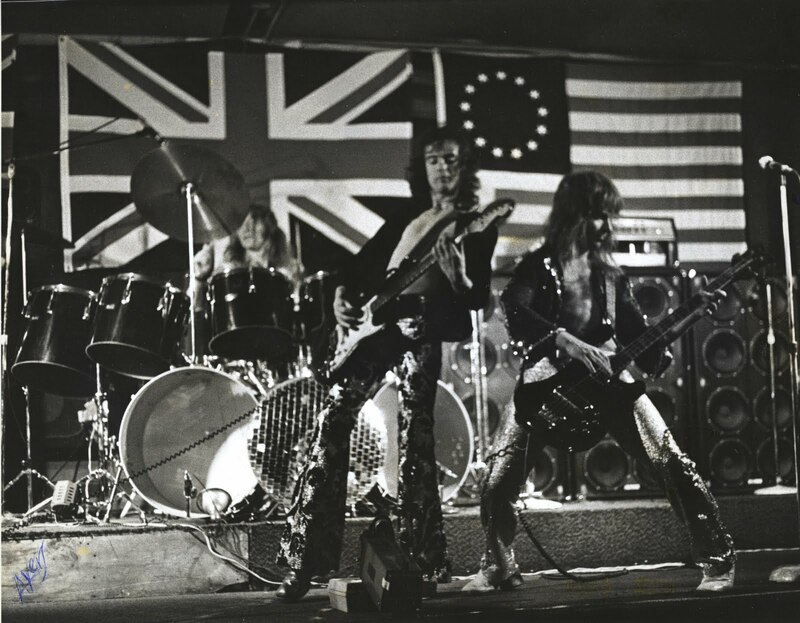 Buck plays a series of warm-up gigs throughout England before heading back to the States, including London's Marquee Club. 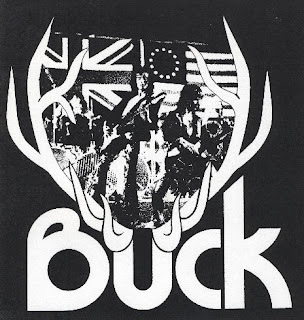 1977 - 1978: Buck releases a 45rpm on Rat Records that was produced by John Kalishes. This photo of the trio inside the antlers of the Buck logo was the cover of the record sleeve. 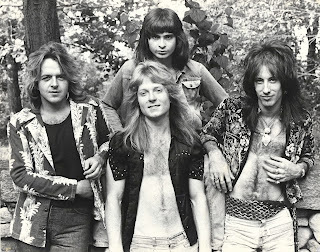 The Rat(hskeller) was the club to play in Boston and had previously released a double album titled "Live at the Rat." Artie Plummer (drums) replaces Mick Hough and Kent Pearson rejoins the band to form a four piece line-up. Several combinations of musicians follow until Jamie Pease joins Jimmy D'Angelo in the band August. Jamie Pease died in 2006 after an eleven year battle with cancer. ERA 1981: The "NY Rhythm Section Mistake of 1981"
"the best band to ever have lived in rental units on Church St. in Leominster"